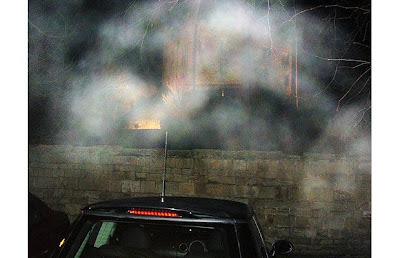 An eerie image of a figure in period costume at a Scottish castle has spooked experts conducting the biggest ever investigation into photographic evidence for ghosts. 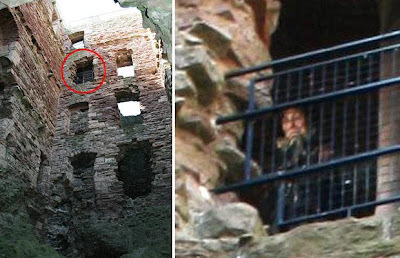 The picture, taken in May 2008, appears to show a man or woman in a ruff peering out of a barred window at Tantallon Castle. No mannequins or costumed guides are employed at the castle, and three photographic experts have confirmed that no digital trickery was used on the photo. Tantallon Castle, a ruined fortress dating back to the 14th century, stands on a remote rocky headland near North Berwick on the Scottish east coast. Runners up were as follows: Second place; "The Ghost in the Woods": The picture appears to show a strange ghostly figure in the trees. 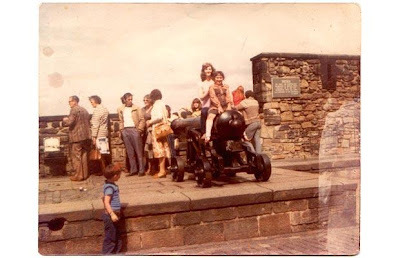 Third place; "The Ghost on the Street": A strange shadowy figure appears next to the couple in the picture. Sceptics' explanation: The blurring in the image suggests a long exposure. A person may have walked past the photographer unnoticed . Fourth place; "The Ghost on the Beach": A mysterious dark hooded figure stands at the water's edge. Sceptics' explanation: The figure is an illusion created by an indentation in the rock face . 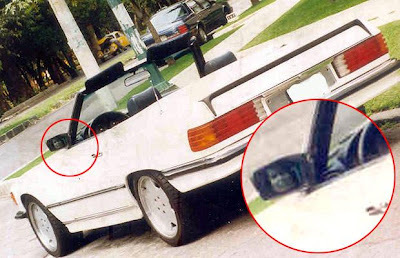 Fifth place; "The Ghost in the Mirror": A ghostly face appears in a car's wing mirror. The photographer says no-one else was around at the time. Sceptics' explanation: The face could be a reflection of a headrest, someone standing nearby, or the result of digital manipulation . 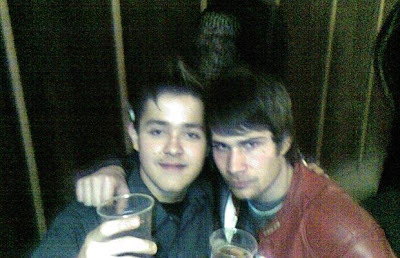 Some of the other photos submitted to the site include this 'face' image. Possibly due to people seeing patterns in random shapes. Photographer Filip Gazi. A misty face looms large in this photo, possibly caused by condensed breath in front of the lens. Photographer Lorraine Morrison. 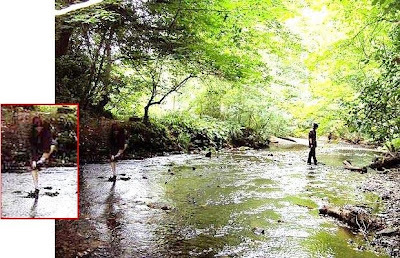 Taken whilst the photographer was out walking with his children and dog, this image appears to contain a strange figure in the trees. 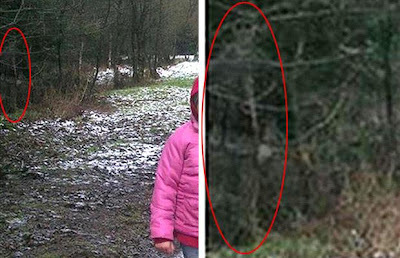 Skeptics argue that the apparent figure is simply a mixture of shadows, leaves and branches. A 'figure' image. 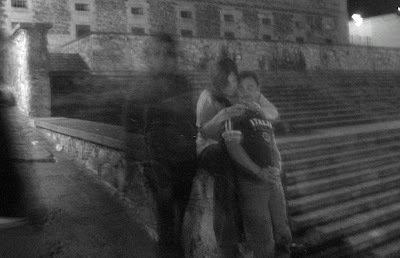 Possibly due to a double image or long exposure. 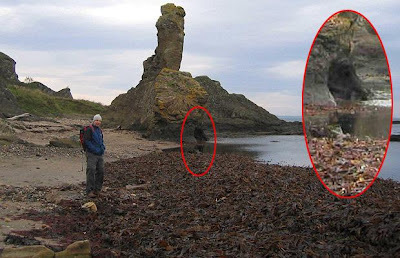 This picture by Michael Dunbar appears to show a ghostly figure walking up the path, but sceptics say this is probably another long exposure. 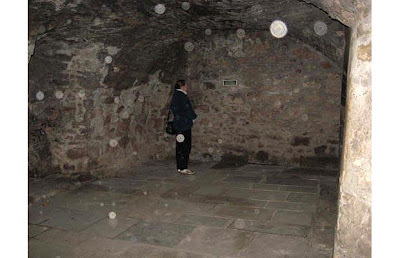 An 'orb' image. 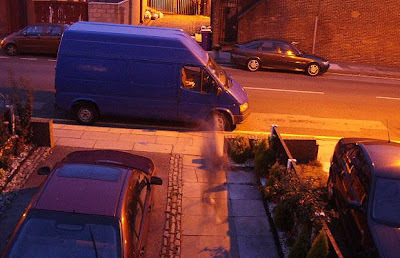 Possibly caused by the camera flash reflecting off tiny dust particles. Photographer Mark Stock.